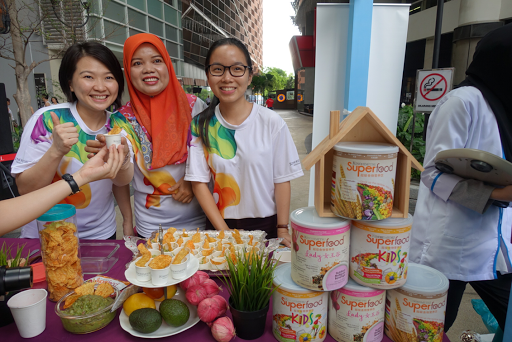 It is important to take care of our well being by eating nutritious foods, getting enough sleep and exercise regularly. But sadly, being an urbanite, we are often too busy or lazy to exercise due to our hectic lifestyle. 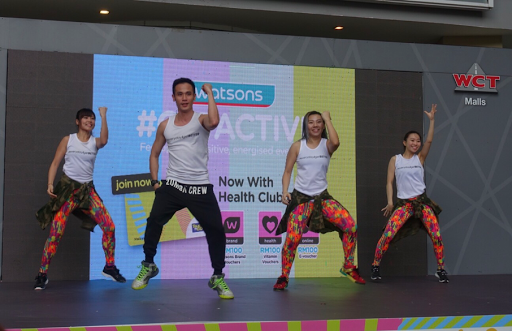 With that being said, Asia's leading beauty and health retailer, Watsons Malaysia has taken a bold step to encourage Malaysians to go active and lead a healthy lifestyle with the launch of its #GETACTIVE campaign at Paradigm Mall recently. 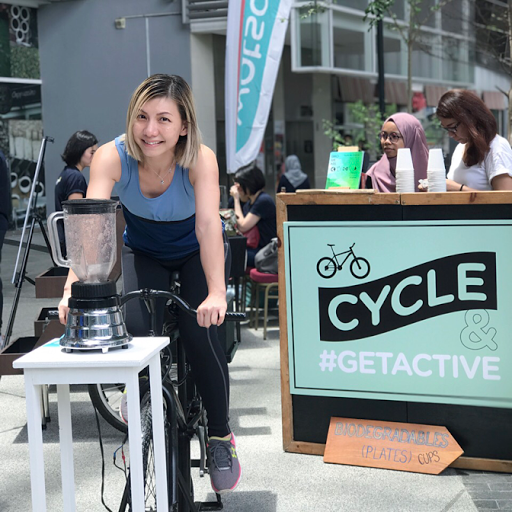 #GETACTIVE is a health initiative to its key business partners, merchant partners and members of the media, aims to promote healthy living whilst positioning Watsons as the ideal health and beauty shopping place with an extensive variety of brands and products. The launch began with an energetic Zumba fitness dance. 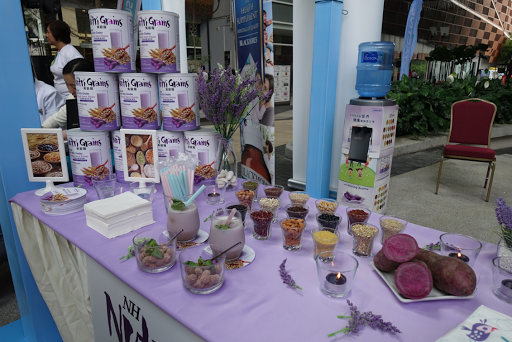 Some of the healthy and nutritious supplements available exclusively at Watson. Cycle and blend for a cup of refreshing smoothies. Did you know cycling is a good low impact exercise which is suitable for all fitness levels? Riding will also help you to tone up and slim down your waist and thighs. Anyway, after the launch, we were then divided into few teams for our fun fitness challenges and Lenna was our "Get Fit" team leader. 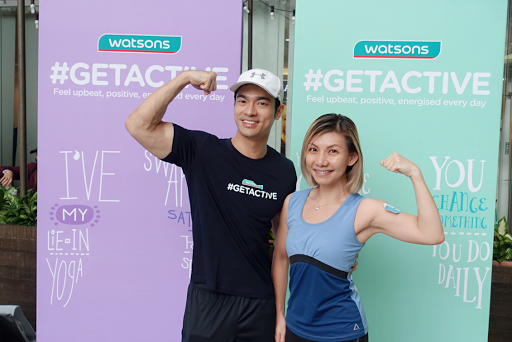 Watsons also introduces its #GETACTIVE ambassadors at the launch, which include Ann Osman, Malaysia's first female professional MMA fighter, Lenna Lim, actress and cyclist, Kit Mah, fitness influencer and Mark O'dea, model and sports commentator. 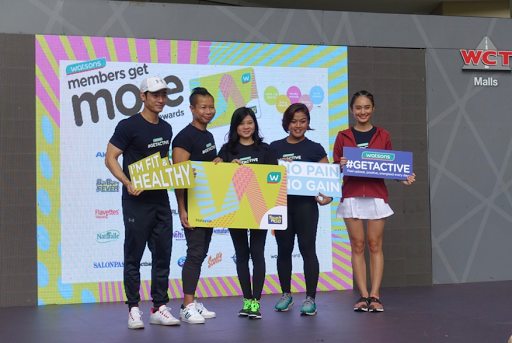 The #GETACTIVE ambassadors will lead a fitness activity each together with Watsons VIP Members to inculcate the active lifestyle to the public. Here's the schedule, mark your calendar. Don't miss out! For those who sign up new Watsons VIP Card sign up will enjoy RM300 worth of Watsons vouchers, receive 500 VIP Points upon activation and RM5,000 worth of health club, dining, travel, beauty and lifestyle reward vouchers. Watsons VIP Members can also enjoy more rewards from the participating merchants as listed above. 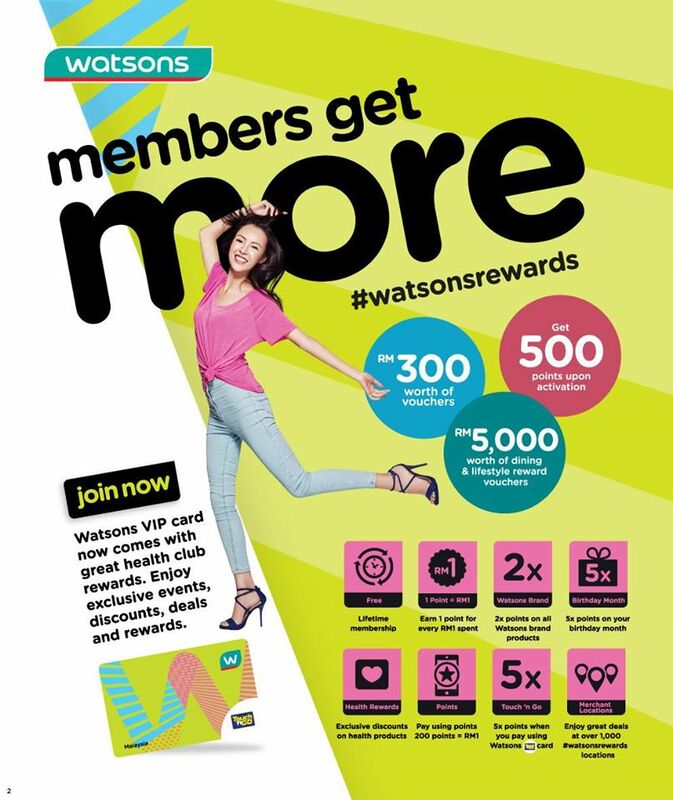 The all new Watsons VIP Card now comes with more health club rewards at more than 1,000 #watsonsrewards merchant locations. 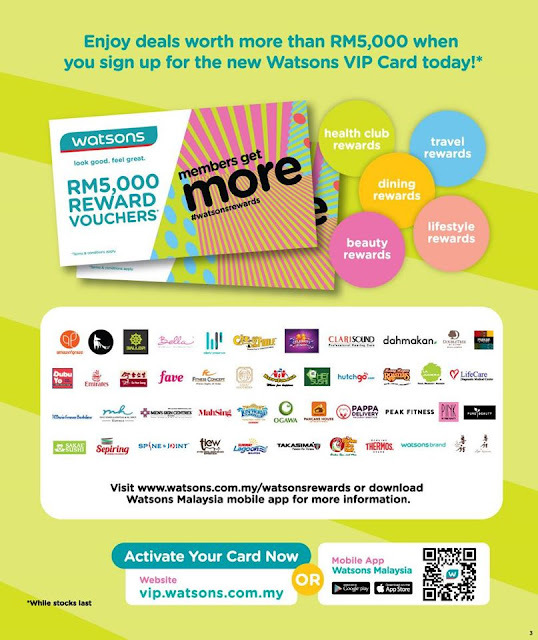 For more information on #GETACTIVE, please visit www.watsons.com.my/get-active and www.vip.watsons.com.my for the all new Watsons VIP Card. I'm eager to get my hands on all those reward points. Which means, more shopping. Need to print more money, too!